Coffee and Walnut cake, one of my all time favourites. However, I can’t even remember the last time I ate a real slice of this cake. It's just not something I'd choose as a snack any more. But actually, Graze's coffee and walnut cake isn’t a cake at all. This snack is great if you're trying to get healthy and feel you’re missing out on treats. 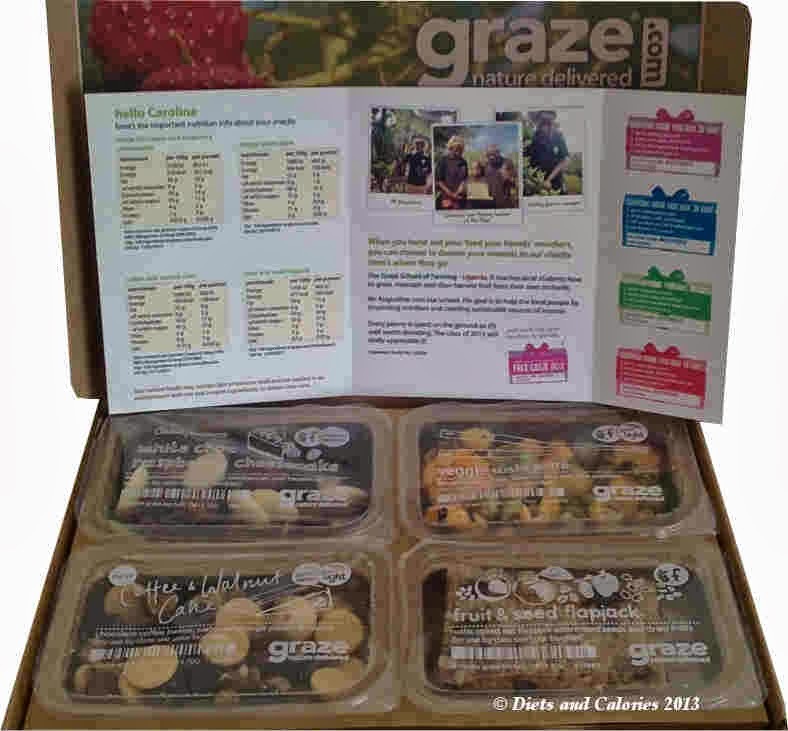 With a clever combination of ingredients, Graze manage to conjure up a similar taste sensation to coffee & walnut cake, albeit in a healthier way. 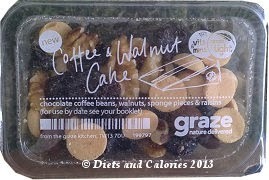 Graze’s Coffee & Walnut Cake snack is a mixture of milk chocolate coated roasted coffee beans, walnuts, sponge pieces and jumbo raisins. 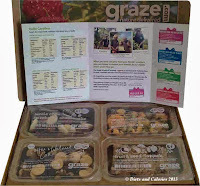 It has the honour of being a Graze Light Snack since it has 148 calories. 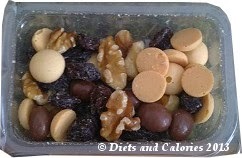 There is quite a lot in this snack and it can be made to last for more than one snacking session. 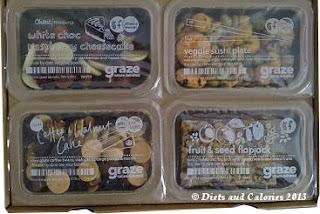 The sponge pieces have appeared in a few other Graze snacks such as Hot Cross Yum. They’re very light and more like a soft biscuit than a cake type sponge. The jumbo raisins are soft and squashy, though not my favourite part of the snack. 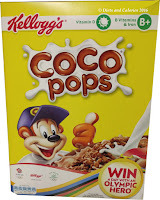 The two best bits for me are the walnuts and the coffee beans. The walnuts are mainly quarters and halves. They’re fresh, crunchy and offset the softness of the other ingredients. Then comes the chocolate coated roasted coffee beans. I wasn’t quite sure what to expect here. Coffee beans are very hard and breaking them down needs a grinder, something my teeth are simply not up to. 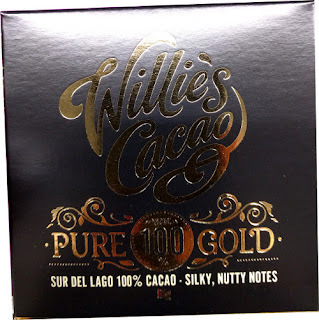 With this in mind, I popped one into my mouth and enjoyed letting the milk chocolate melt away. As more chocolate dissolved I gradually noticed the coffee taste coming through. Then all I was left with was the coffee bean. It wasn’t shiny or hard, as after one small crunch I was through. If you’re a coffee addict like me, I’m sure you’ll love these. If you chew right through the beans, pop in a cake and walnut piece together, close your eyes, you could just about imagine you’re eating a coffee & walnut cake. What else can I say, but YUM. I give this a rating of LOVE. Not crazy about the raisins, but the rest is just delightful. Full ingredients: milk chocolate coated roasted coffee beans: milk chocolate (88%) (sugar, full cream milk powder, cocoa butter, cocoa liquor), coffee beans (9%) (contains caffeine), gum arabic, shellac, soya lecithin, vanilla extract (milk chocolate contains minimum 30% cocoa solids) walnuts: walnuts sponge pieces: wheat flour, sugar, free range egg, potato starch, skimmed milk powder, mono- and diglycerides of fatty acids, sorbitol, baking powder, vanilla jumbo raisins: jumbo raisins, vegetable oil. 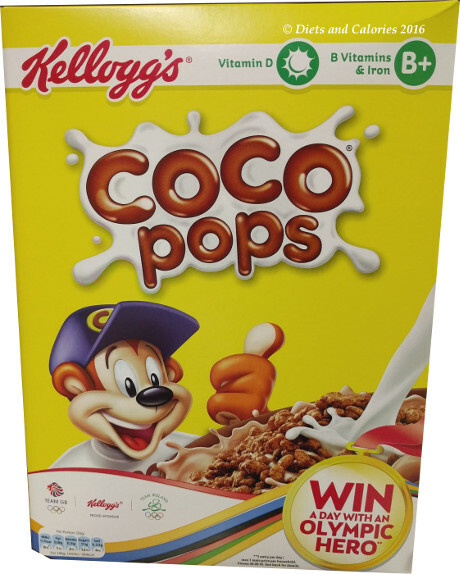 contains eggs, gluten, milk, soya, tree nuts and wheat.